This Chanukah season, Nevei Kodesh invites the whole community to join us on Friday, December 11th, 5:30-9:00 pm for a 6th night of Chanukah celebration! Young children, families, and adults are all welcome. 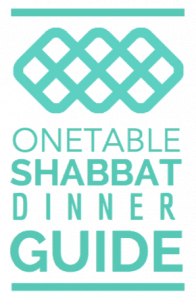 Our non-traditional Shabbat will include a complimentary latke (and falafel) dinner, menorah-lighting, Shabbat candle lighting, singing, dancing, and oneg. We are also celebrating our first anniversary with our new rabbi, Rav Bracha, and our new home. 5:30 – Complimentary dinner buffet of falafel, salads, and latkes. 6:30 – Light the Chanukah candles, welcome the Sabbath, and enjoy live music, holiday performances and dancing in the sanctuary. Everyone is invited to bring their Menorahs / Chanukiot and candles. 7:30 – Kiddush with wine, challah, juice and jelly doughnuts, and continued dancing with DJ Izaiah. This event is being generously sponsored by Walter Katz and Debbie Hersh. All are invited.